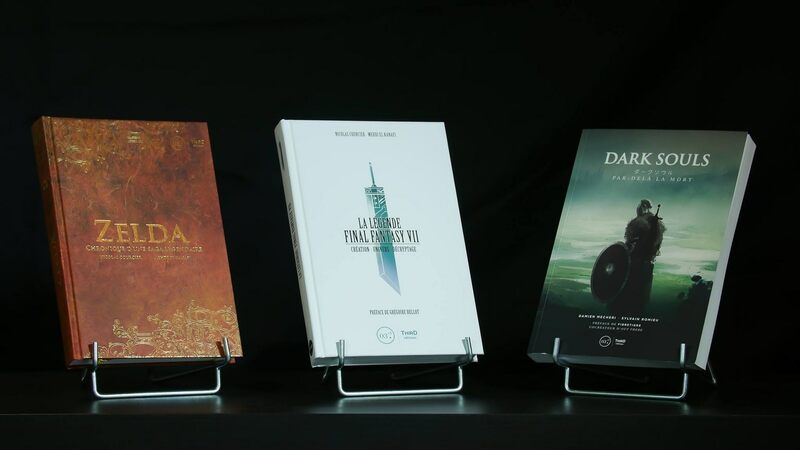 Third Editions is a French publisher that works on video game books and they recently reached their Kickstarter goal to unleash their second season of books aimed to hit your personal library. Now the aim to reach new stretched goals before time runs out. It was just a few years ago that the publisher posted their first Kickstarter campaign in order to translate their first set of books into the English language. Included was Metal Gear Solid Hideo Kojima’s Magnum Opus and Bioshock from Rapture to Columbia. These hardcover books contain hundreds of pages which break down the IP in several areas. Not only are you receiving the narrative insight but the inspirations and choices developers went with when crafting the video game for release. For instance, the BioShock novel showcases the short history of the series and how it was able to obtain such a massive critical acclaim. Within the novel, the author’s analyze each of BioShock installments and alerting readers of the narrative, setting and other fun factoids such as religious references. Now with a demand for more, Third Editions is back with their second season campaign with hopes of translating more of their works to the English language. This second set of novels will include Zelda Volume 2 Collector Edition, Dark Souls Volume 2 Collector Edition and Final Fantasy VIII Collector Edition with a ship date estimated in October of 2018. With hopes of reaching their pledged goal of $74,239, Third Editions has received over $100,000 in just days. With that said, there is still time to pledge in order to reach the stretched goals listed within the Kickstarter campaign. Currently, the publishing company, Third Editions, is seeking to reach $123,000 which will include the translation of The Work of Taro Yoko: From Drakengard to NieR: Automata. You can still expect more novels to be included if the Kickstarter surpasses the goal, though there are only ten days left to make a pledge. Regardless, Third Editions is likely to return back to Kickstarter in the future after their successful campaigns in order to bring out new works to other English speaking markets. Full Disclosure: Novel was provided by the publisher for reference in this article.